Kurt is a Certified Public Accountant with over 30 years of public accounting experience. He is currently a member of the American Institute of Certified Public Accountants (AICPA). 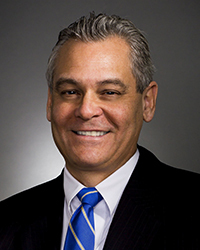 In addition, he has served on the board of directors and as the CFO for Guide Dogs of America Foundation. Kurt's experience includes certified audits and reviews for many industries, including charter schools, non-profit private schools, professionals, professional associations and manufacturers to the aerospace industry. Feddersen & Company, LLP is one of the leading firms in and throughout Agoura Hills, CA. By combining our expertise, experience and the team mentality of our staff, we assure that every client receives the close analysis and attention they deserve. Our dedication to high standards, hiring of seasoned tax professionals, and work ethic is the reason our client base returns year after year. © 2019 Feddersen & Company, LLP All Rights Reserved.